This place is closed Mondays and Tuesdays. Open 10am-4pm Wednesday-Saturday, 12-4pm Sunday. The machine is located in the gift shop. 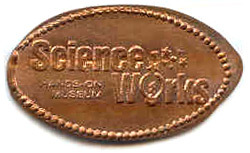 thegillion added Science Works to system.